The February "Best of" set has been announced - "Best of Love". This set is available for $17.95. The Best Of sets are available as clear mount only so you can use them with your acrylic blocks. If you don't have acrylic blocks, let me know and I'll help you select the sizes that will work best. January's set is also still available - "Best of Birthdays"
For every six Best of Stamp sets that you purchase, you will earn a free set (value $17.95) - you'll receive a collectors card and stickers. 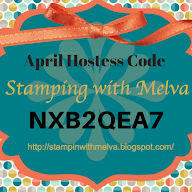 When you have six stickers you can redeem it through Stampin' Up! for your free set. The "Best of" sets will be available until March 2014.